Last Friday, 11th August, 2017 would have been the first Free Data Day on the Globacom network but for the decision of the telecommunications industry regulator, the Nigerian Communications Commission (NCC), blocked the plans of the operator to give free data to all its subscribers for flouting approval. The Commission through its commissioner for stakeholder management, Mr. Sunday Dare said the free data day promo is a clear departure from what was approved by the regulator. According to Globacom’s announcement, eligible subscribers would enjoy 200 megabytes of data for free to enjoy what it called the “free data day”. Here’s part of the letter the commission sent to Glo asking it to shut down the campaign. “Please refer to the commission’s letter dated 14th March, 2017 conveying approval for your Glo overload promotion. 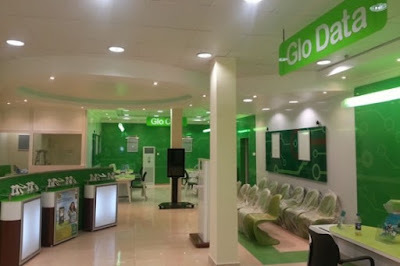 It has however come to our notice that Globacom Nigeria Ltd has been implementing the above regulatory approval in breach especially given your recent media campaign on the ‘Glo free data offer’, a clear departure from terms and condition of the approval given for the Glo overload promotion. Furthermore, NCC also summoned Gladys Talabi, Globacom Nigeria’s CEO, to its Abuja headquarters set for August 17, 2017.